Hello Sara, great series of tips. Thank you for them. Thank you feldacz! 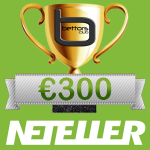 Actually it’s hard for me to send you tips because I compete in three tipster competitions.You can follow me on bettingexpert.I have 23% yield there currently (Sara99).Still I will try to send you tips when I get time. Hi Sara, thank you for the information. I will not bother you by email. It’s just about tips. Hi Sara, bettingexpert is too complex for me and I do not understand his system. I do not know where I can find your tips. 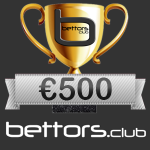 It suits me Bettors.club is great. Thank you for sending me tips on Email. Hello Sara, today 8.3.2019 we have an International Women’s Day. Hello Sara, please play for European League matches. Actually I’m very good in those sports. I do predict European football fixtures but I don’t post them often because those matches needs lots of research and you never know in football who will play and who will not.Most of the times important players are rested and because of that I pick big matches like Derby,champions league etc.I will try to post them more often from now on. Hi Sara, thank you very much for predicting the Kolkata Knight Riders – Kings XI Punjab. You are one of the TOP tipsters. Please, I would like to follow you bettingexpert, but you can’t find you. Please can you send me a link to find you. I believe in your tips.